Prime Minister Manmohan Singh condoled the 'untimely' death of satirist Jaspal Bhatti saying his work using cinema and television to hold up a mirror to the society will be long remembered. Bhatti endeared himself to generations with his unique perspective on probity in public life, Singh said in a condolence message to the family of the satirist who died in a road accident in Punjab on October 25. "Not only did he contribute in his own way to reform society, he did it with a light and humorous touch, which endeared him to generations of viewers and audiences," the Prime Minister said. Bhatti's work using the medium of television and cinema to hold up a mirror to society and highlighting the problems of the common man will long be remembered, Singh said. "In his unfortunate passing away, the country has lost a person who pioneered a unique perspective on probity in public life," he said. Parliamentary Affairs Minister Pawan Kumar Bansal said destiny has suddenly snatched away from us a pious soul who brought a smile on every face. "His hard-hitting yet light-hearted satire touched the public conscience and left a deep impact on everyone. The cartoonist, actor and filmmaker in him struck a chord with and won the hearts of millions of people," Bansal said. 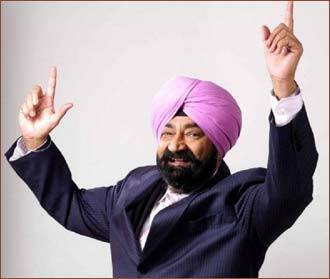 Your tribute to Jaspal Bhatti!